Sometimes we find the happy endings – and new beginnings – where we least expect them. I told him I understood and gave him a hug. He put his smile back on and led Maven into the ring. Obsidian didn’t go to this show because she’s still ridiculously stubborn on the halter. Dan’s hoping she’ll come around in time for the county fair. After the youth show, Dan has another reason to hope. His name was drawn from all exhibitors for the grand prize: a registered Holstein winter calf. 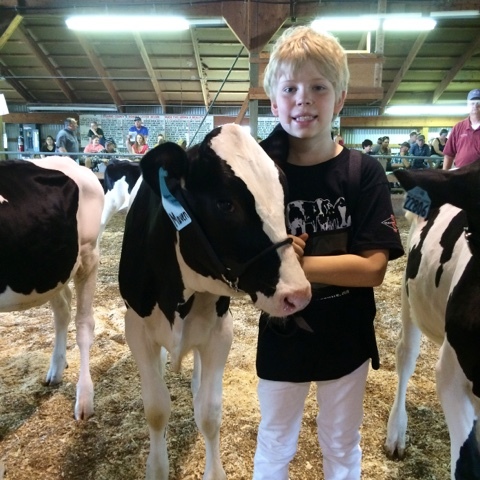 For the past six years, the Stearns County Holstein Club has purchased a registered Holstein calf to give away at the youth show. This year’s calf was purchased at the Damhof Dairy dispersal in April. After Dan’s name was called, it took a second for him to understand. Then he ran to the calf. You’ve never seen a smile so big on a boy’s face. By the time I caught up with my camera, he was already asking questions. “What’s her name, Mom? Can I give her an ‘L’ name?” Dan asked. In that moment I realized what winning this calf meant to Dan and it was my turn for tear filled eyes. This calf was new hope for his broken heart. The start of his very own cow family. Dan named his calf Legend to honor the memories of Lucy and Lego. I’m hoping with him that Legend will become her name. That she will be the beginning of a lifelong story that started with winning a calf at a show. 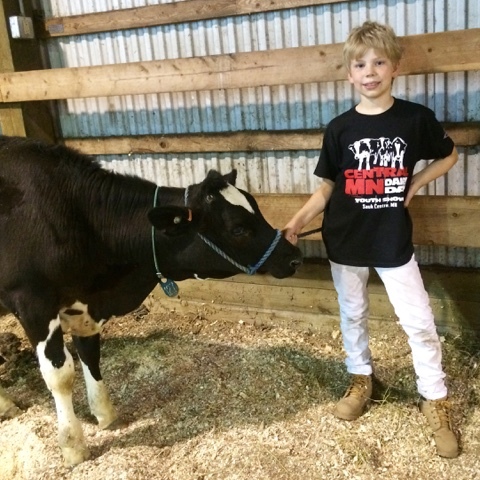 Hats off to the Stearns County Holstein Club and the supporters of the Central Minnesota Dairy Day Youth Show for an excellent show and for giving one boy a reason to hope. For the whole story, read my last column in the Dairy Star.